Details 2010 MINI Cooper MAYFAIR LEATHER ROOF 6 MT LOW KM. ANOTHER MAYFAIR!!! 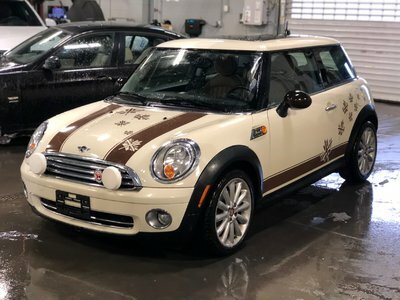 This one has comes with the white top, toffy lounge leather fully loaded with the dual sunroof, heated seats, mini rally lights 6 speed manual transmission 1 owner and so much more come in for a test drive today only at MINI Ottawa!